We are one of the reckoned names in the industry engaged in offering an unmatched range of Air Compressor Parts. These compressor parts are appreciated for their accurate designs. Designed & developed in compliance with international quality norms, our compressor parts are defect-free in nature. In this product range, we offer Broomwade Air Compressors Parts, Ingersoll Rand Air Compressor Parts and K. G. Khosla Air Compressor Parts, among others. Air Compressor Parts spares that we offer for ingersoll- rand type HSE non lub series are of optimum quality standards and have helped us muster a huge customer base in the market. Clients can avail these air compressor spares from us in varied sizes and specifications, as per the requirement. Client specific requirements are given due importance and are kept in mind while procuring these spares for air compressors. By consistently offering a comprehensive range of Broomwade Air Compressors Part, we have been able to cater to the varied demands of clients. In this range, we offer spare parts for various makes of Kirloskar air compressors. Durability, corrosion resistance and ability to withstand high pressure are some of the quality attributes that make our spares popular among clients. By consistently offering a comprehensive range of Ingersoll Rand Air Compressors Part, we have been able to cater to the varied demands of clients. In this range, we offer spare parts for various makes of Kirloskar air compressors. Durability, corrosion resistance and ability to withstand high pressure are some of the quality attributes that make our spares popular among clients. Type ESV/ESH Series :Lub/non-Lub - 7x5,8x7,9.5x7,14x11 etc. Type IHE/IHL/HSE Series : Lub/Non Lub & Screw Compressor parts. By consistently offering a comprehensive range of KHOSLA Air Compressors Part, we have been able to cater to the varied demands of clients. 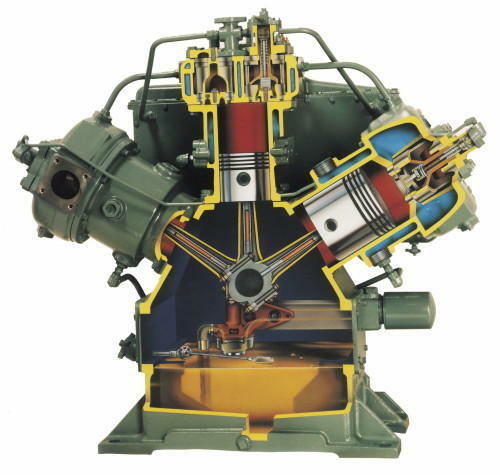 In this range, we offer spare parts for various makes of Kirloskar air compressors. Durability, corrosion resistance and ability to withstand high pressure are some of the quality attributes that make our spares popular among clients. Lubricated / Non - Lubricated & Screw Compressor Parts. GA /XA / XAH Series. Screw Compressor 10 Series, 12 Series, 16 Series, 20 Series, 25 Series. By consistently offering a comprehensive range of HOLMAN Air Compressors Part, we have been able to cater to the varied demands of clients. In this range, we offer spare parts for various makes of Kirloskar air compressors. Durability, corrosion resistance and ability to withstand high pressure are some of the quality attributes that make our spares popular among clients.